Download the Guide - "How to Recruit and Engage Families"
An effective recruitment strategy is at the core of your program’s success, and, ultimately, its impact on the community. But it's often one of the hardest parts of program management. 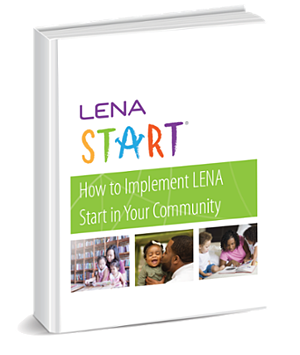 In this chapter of the LENA Start Implementation Guide, we've compiled best practices from our LENA Start sites around the country to help you get started connecting with families. We created "How to Implement LENA Start" just for our LENA Start partners, but we're making the chapter on recruitment available for everyone. Download today!